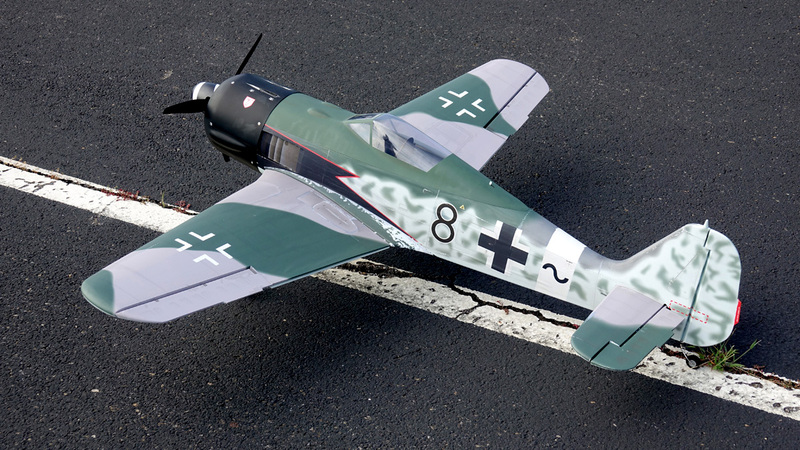 AcesHigh have set the bar for fantastic flying models that carry a super high level of detail. As part of the Extreme Flight family, we have combined the highest level of aircraft manufacture with new technology, and the results are fantastic. Months of research and effort to create a realistic result without the typical weight problems that go along with detail. 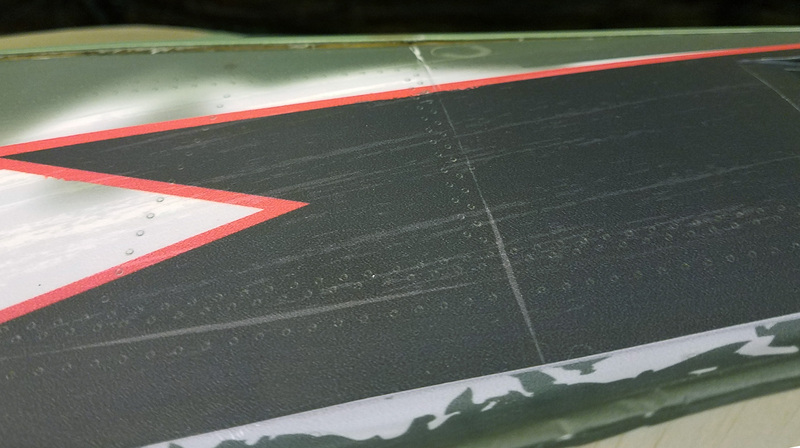 Taking our expertise in balsa aerobatic aircraft construction and applying it to warplanes has produced new standard in warbird flight performance. 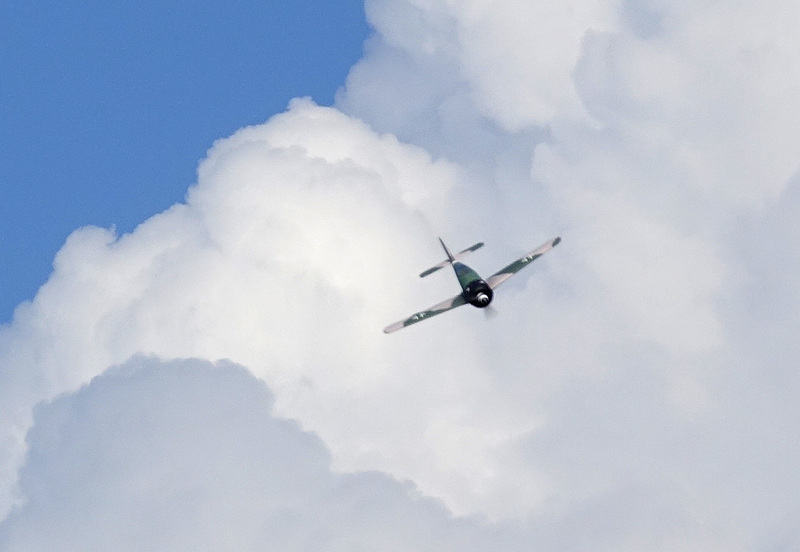 The FW is fast and stable as a warbird should be, but it also floats in for landing with a confidence-inspiring lightness and predictability. This is a new day for the mid-size warbird. 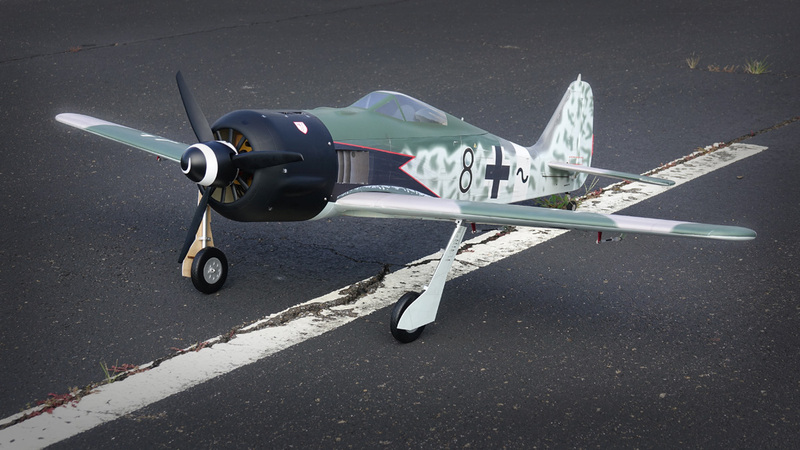 If you can fly an aerobatic aircraft, you will immediately feel at home with the FW. The FW includes pre-installed electric retracts which are light, strong and convenient. 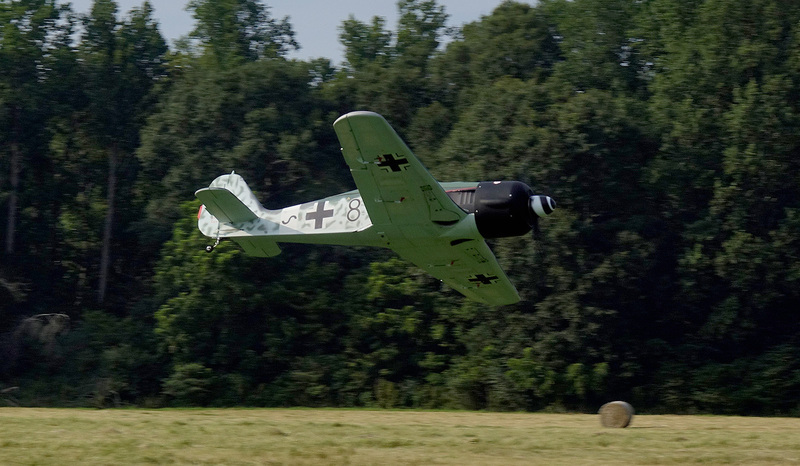 They have the correct scale extension angle for the perfect Focke-Wulf look. Ground handling is easy due to the wide track and large (scale) wheels. 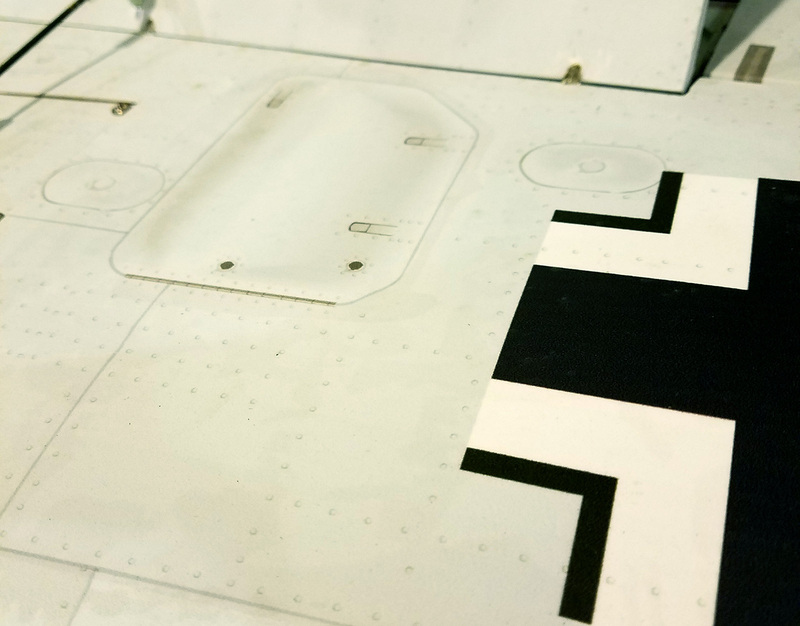 In making the model look real, our objective was to recreate the full size plane as it was in operation. Those aircraft worked hard, and got very dirty in the process. 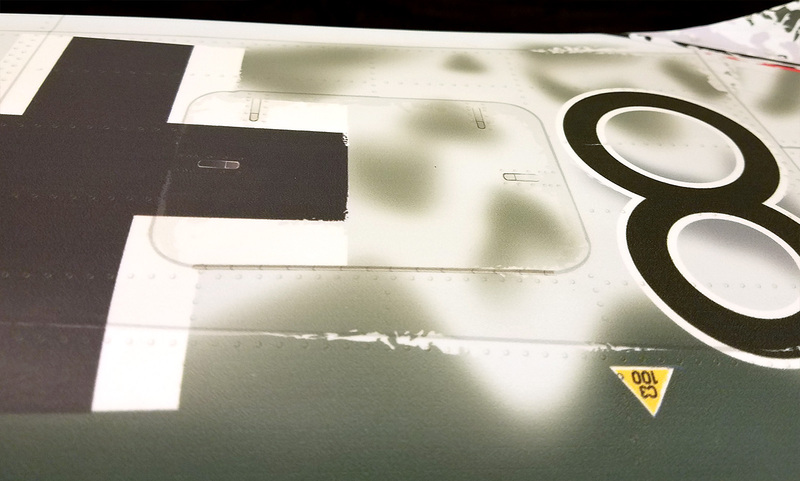 The details on the scheme are as if the full scale aircraft was wheeled into a photo booth... there are no pin-stripe panel lines and dots for rivets, because panels arenÍt pin-stripes, and rivets were rivets. This isnÍt the ñbrand newî looking warbird that is typically seenƒ congratulations on owning the first ARF that comes dirty out of the box! This colour scheme was the mount of Willi Maximowitz. Willi's specialy was bombers. 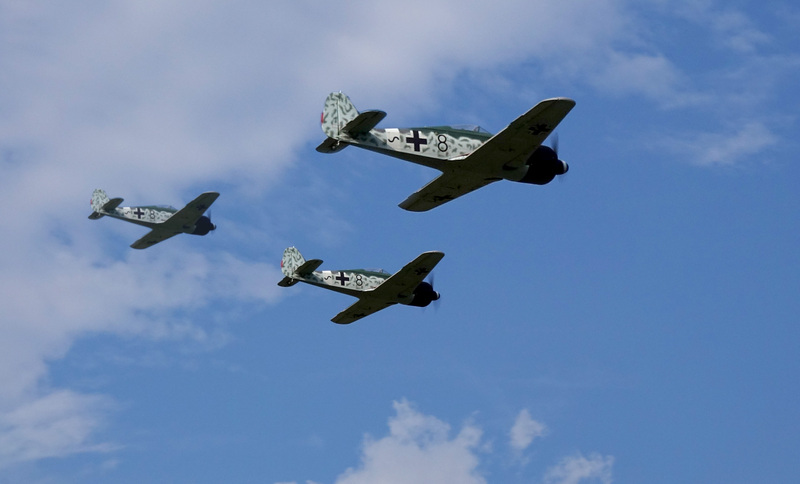 Credited with 27 victories, 15 of them were four engine bombers. At least one of these bombers (though he claimed a second also) was taken by, get this, ramming it. April 20 1945, Willi failed to return from a combat mission. If you use the airplane itself as a blunt instrument, going out with your boots on was probably a foregone conclusion. Maximowitz was posthumously awarded the gold German Cross.